Humidity levels can drastically affect how the air in your home feels. It can make the air feel up to 8 degrees warmer than the actual temperature. By working with the Humiditrol whole-home dehumidification system, the XC21 can preserve your comfort in every way. The Healthy Climate Solutions line from Lennox includes indoor air quality systems for every need, from industry-exclusive air purification to high-efficiency filtration. Designed to work with your central heating and cooling equipment, these products control and enhance indoor air quality for an improved, cleaner and more comfortable home environment. Collection is the ultimate expression of Lennox innovation, and that makes it the perfect choice for your home. Each product is a standout on its own, leading the market in efficiency, quiet operation and comfort. Working together in one system, they create an environment of perfectly heated and cooled air. SunSource solar capabilities add to the performance possibilities, allowing you to enjoy better air and brilliant solutions to energy use.True to their name, Elite Series products are a cut above when it comes to making people comfortable in their homes. With impressive features and capabilities, Elite products not only deliver exceptional comfort, but also outstanding energy efficiency. Compared to conventional heating and cooling products, Elite Series can save you hundreds of dollars in energy costs each year.For nearly 150 years, Lennox has stood for innovation, dependability and reliability in heating and cooling equipment. 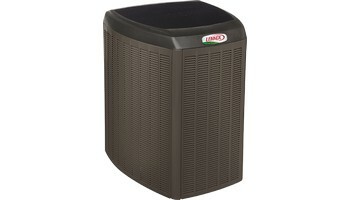 The entire Merit® Series carries on that tradition with pride, because it’s built with smart designs, and thoroughly tested to ensure it will exceed your expectations.The Healthy Climate Solutions line from Lennox includes indoor air quality systems for every need, from industry-exclusive air purification to high-efficiency filtration. Designed to work with your central heating and cooling equipment, these products control and enhance indoor air quality for an improved, cleaner and more comfortable home environment.